Often times over-looked, accessibility can be a huge issue for public facilities and venues with larger parking lots. 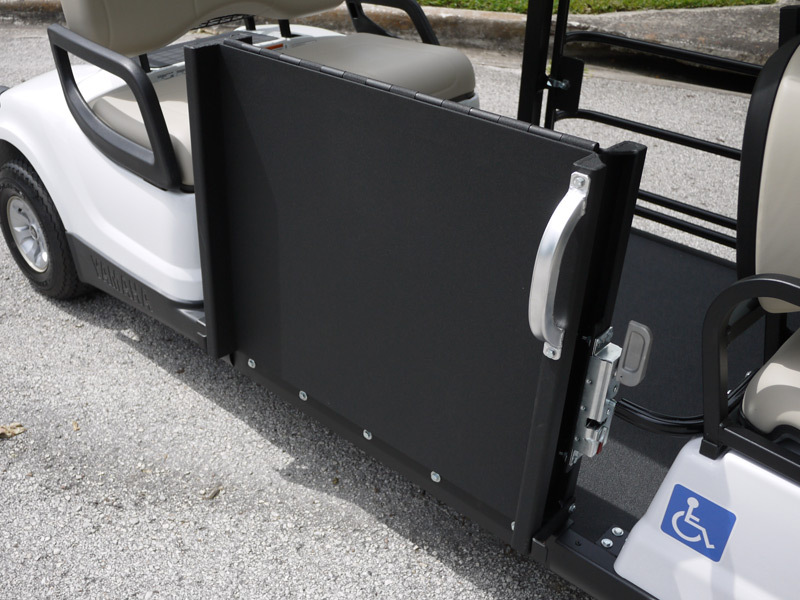 Luckily, our wheelchair accessible golf cart shuttle is the perfect complement to your existing multi-passenger fleet and an economical solution for your unique transportation needs. Our wheelchair accessible shuttle comfortably and safely transports four seated passengers (expandable to six) and one wheelchair passenger. 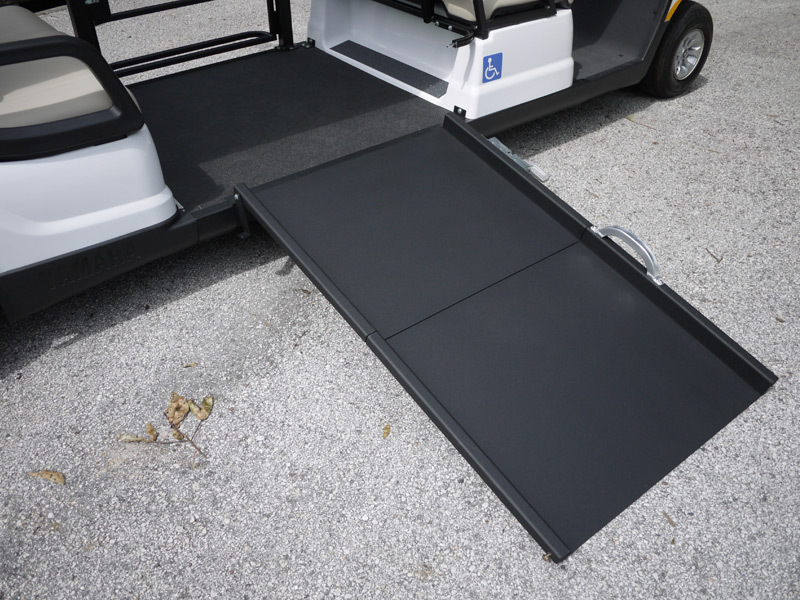 Boarding is a breeze, thanks to a large all-aluminum bi-fold wheelchair ramp that boasts a 500lb capacity and conveniently folds up and out of the way when not in use. Once in position, a four-point Q-Straint system is utilized to lock the wheelchair firmly in place (attendant required). 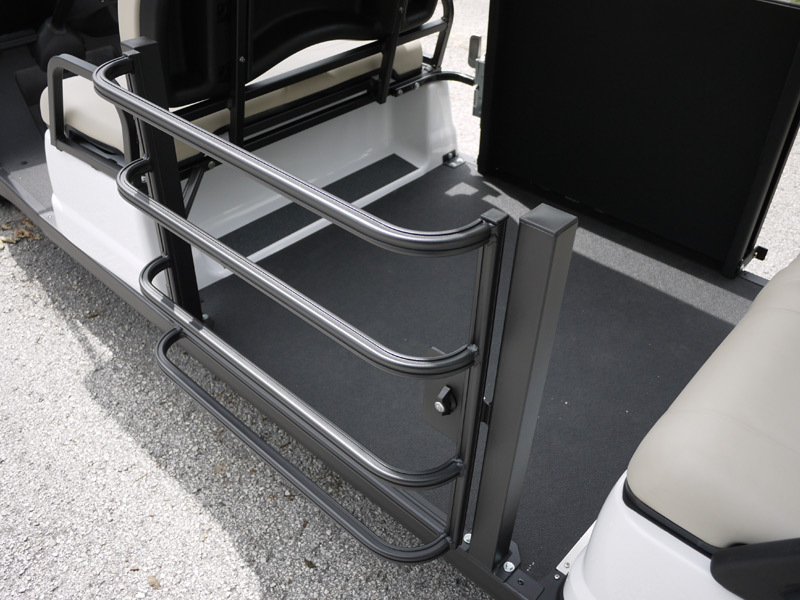 Our wheelchair accessible shuttle is surprisingly easily to operate thanks to a manual bi-fold ramp and effortless Q-Straint locking system. Get familiar with all the features ahead of time. Bigger demands call for bigger solutions. 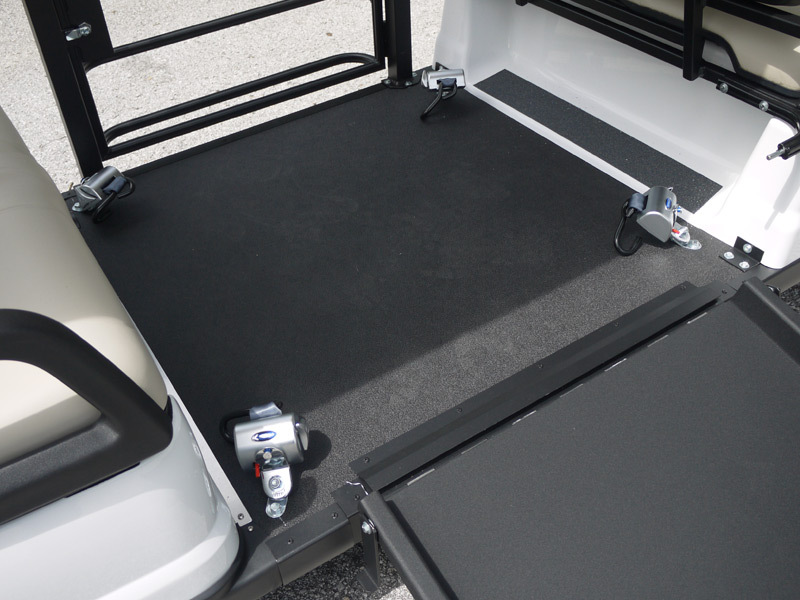 Luckily, most all of our towable tram trailers have an optional wheelchair accessibility kit to combine large scale transportation with universal access.